Earth Day is April 22nd and is celebrating its 45th anniversary this year. This year we want to celebrate the month of April by showcasing our commitment to protecting the environmental health of our local communities, Wisconsin and the planet through environmentally based education, research and outreach at UW—Green Bay, the Original EcoU! 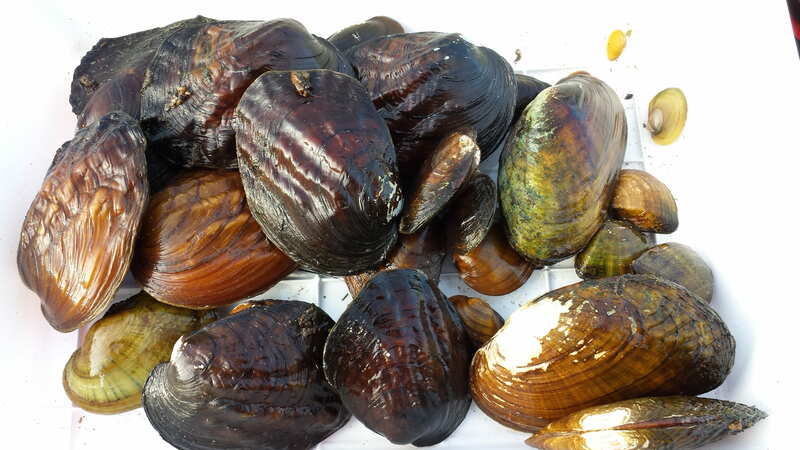 North America has the highest mussel biodiversity in the world, with over 300 species, but more than 40% of those species are imperiled, especially in the Midwestern states. According to the US Fish and Wildlife Service, no other group of animals in North America is in such grave danger of extinction! The major threats that these species face are siltation, water pollution, damming or conversion of streams, and the presence of invasive mussels (zebra mussels). Wisconsin is home for 51 species of freshwater mussels and 33 of those are considered endangered, threatened or rare enough to be of special concern. Only 18 species currently have healthy populations. 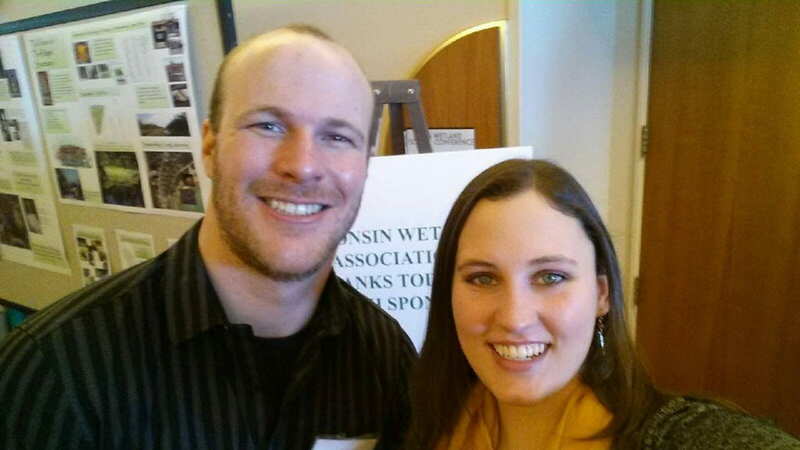 Jesse Weinzinger with fellow UWGB graduate student Chelsea Gunther at the Wisconsin Wetlands Association Meeting. UW–Green Bay graduate student Jesse Weinzinger is on a mission to better protect Wisconsin’s freshwater mussels, one of North America’s most diverse and ecologically important aquatic species. Mussels are ecosystems engineers that filter nutrients and particles improving water quality downstream. They also stabilize stream bottoms and provide habitat and food for fish and mammals. Jesse uses a mask and snorkel to monitor mussel populations. 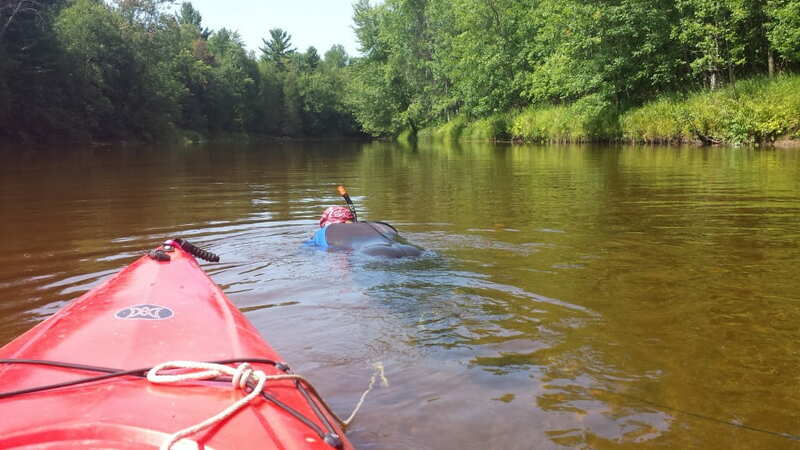 The Wisconsin Department of Natural Resources, along with the help of university researchers and citizen scientist volunteers, are surveying mussels in streams to learn more about the lifecycles and population structure of these important animals. However, the current survey protocol is very labor intensive and the state lacks the funds and staff to maintain long term monitoring efforts. Jesse is investigating ways to make the monitoring of Wisconsin’s mussels faster and easier. He is working with the WI DNR to establish a rapid assessment protocol for volunteers of the Mussel Monitoring Program of Wisconsin. The end result will be an efficient, teachable, and easy-to-use protocol that will provide new volunteer opportunities and, if the method is applied successfully, results will provide rigorous quantitative data to inform the DNR as it makes management decisions. Jesse’s research is partly supported by grants from the Heirloom Plant Sale Fund and from the WI DNR. How can you help? Become a mussel monitoring volunteer! The Christmas Bird Count is 113 years old and is the longest running citizen science survey in the world! Groups of birders get together to count birds over a single 24 hour period between mid December and early January. The Cofrin Center for Biodiversity will be joining the Dykesville Count on December 16th as this circle includes the Point au Sable Natural Area. Contact graduate student Tom Prestby at prestbyt@uwgb.edu for more information. A Green Bay count that includes the UW—Green Bay campus will occur on December 15th. Contact John Jacobs at Jacobs_jp@co.brown.wi.us for more information. The Audubon Society Christmas Bird Count arose out of a 19th century tradition of competitive holiday hunts where groups of hunters competed to see who could kill the greatest number of birds and mammals killed in a single day. The participants of an 1896 side hunt in a small community in Vermont shot more than 550 birds and mammals. Frank M. Chapman, noted ornithologist and American Museum of Natural History curator, proposed an alternative contest. In the December 1900 issue of his new magazine “Bird Lore” he proposed that people go out and count rather than kill birds and then send their lists back to the magazine. The first year 25 lists were made by 27 people across the country. Today, people are participating in the Christmas Bird Count all over the world. Last over 64 million birds were counted in over 2200 areas across 20 countries including Antarctica. That number represents one quarter of all known bird species. Everyone follows the same methodology regardless of country. “Count circles” with a diameter of 15 miles or 24 kilometers are established and at least 10 volunteers count in each circle. Birders divide into small groups and follow assigned routes counting every bird they see along the way. In most count circles individuals are assigned to watch feeders instead of following routes. A supervisor is designated for each circle and supervises, compiles, and submits data after the count. The circle that tallied the highest number of species last year was Yanuyaca, Equador, whose team reported 492 species. In the United States the highest count was 244 species reported by Matagorda County-Mad Island Marsh, Texas. Ever wonder how sharp your bird identification skills are? Now you can put them to the test using the Birder Certification Online website. 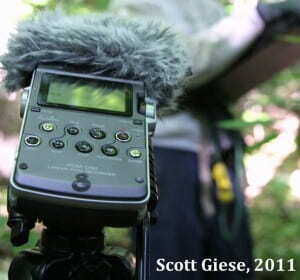 This free web-based program offers a rigorous method for verifying field identification skills of both professional and amateur bird observers. 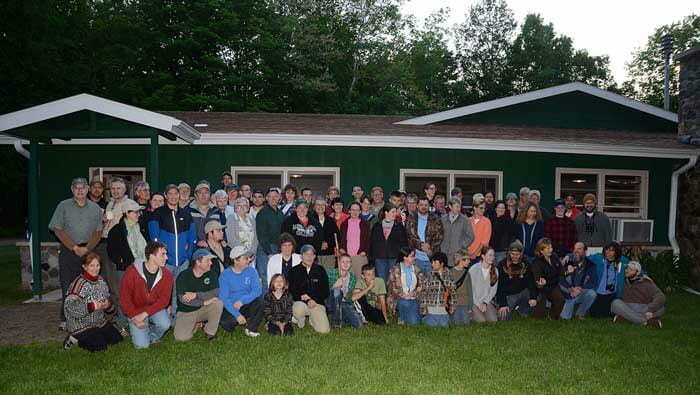 One of the main goals is to ensure that volunteer, as well as professional birders develop the skills they need for bird inventory and monitoring projects. The program allows participants to practice and to test their visual and audio bird identification skills through a series of online tests. 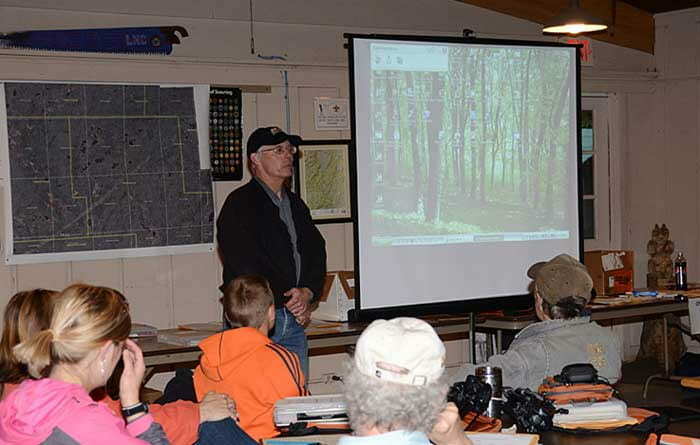 This program is also a helpful educational tool for students and recreational birders. Getting certified is a great resume builder and can help birders obtain many exciting outdoor jobs. There are three levels of certification that a birder can earn for different combinations of bird conservation regions (BCR) and habitat types. A BCR describes a defined North American region that has similar bird communities and habitat types. Currently there are tests for eight BCRs including regions in the Midwest, New England, and parts of the southeastern US and for four habitat types (forests, grasslands, wetlands, and comprehensive) per region. Therefore, a birder can earn different levels of certification for the many different combinations of BCRs and habitat types. 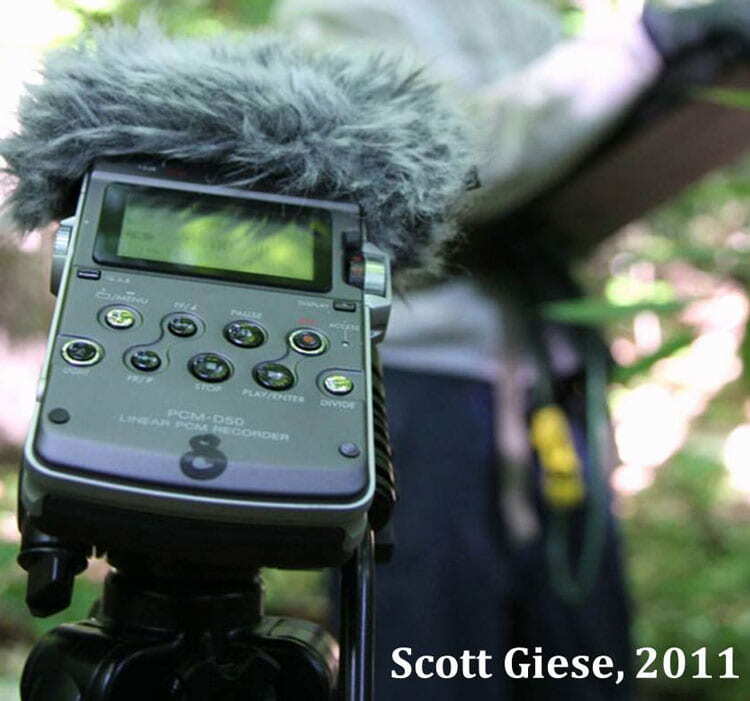 Birders can be tested in both visual and audio bird identification and can earn certification levels accordingly. 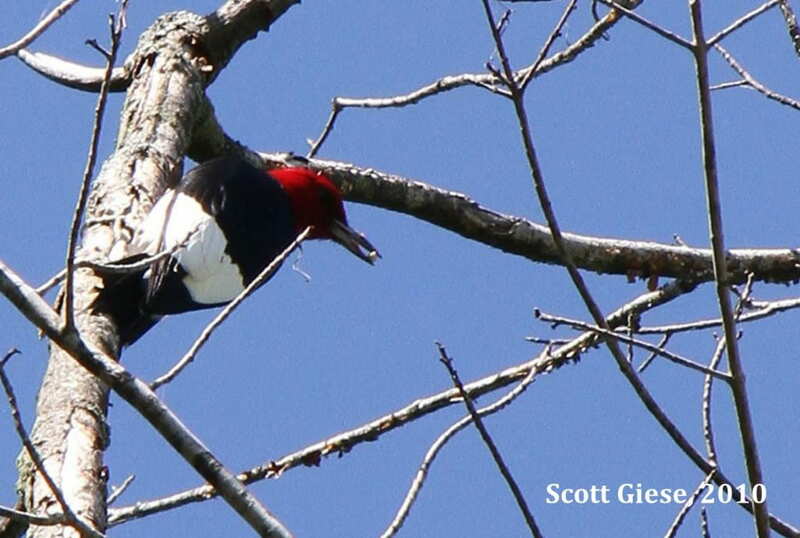 A birder who earns a Certification Level 1 is capable of visually identifying typical backyard birds and at least some of the common species found in natural habitats. A birder who earns a Certification Level 2 is an experienced field observer who can visually identify most/all the birds of this region and habitat type without the help of a field guide and can identify most commonly observed species by song and call. 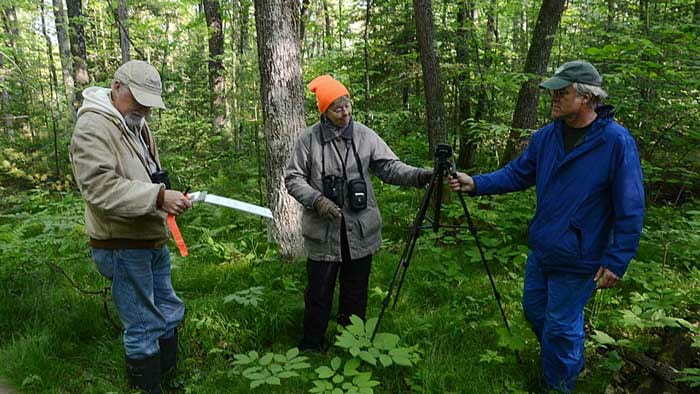 A Level 3 certified birder is capable of conducting complete and accurate bird surveys using point counts, transects, or other standard methods and providing scientifically rigorous data. For more information on certification levels click on the link: http://www.birdercertification.org/Levels.htm. 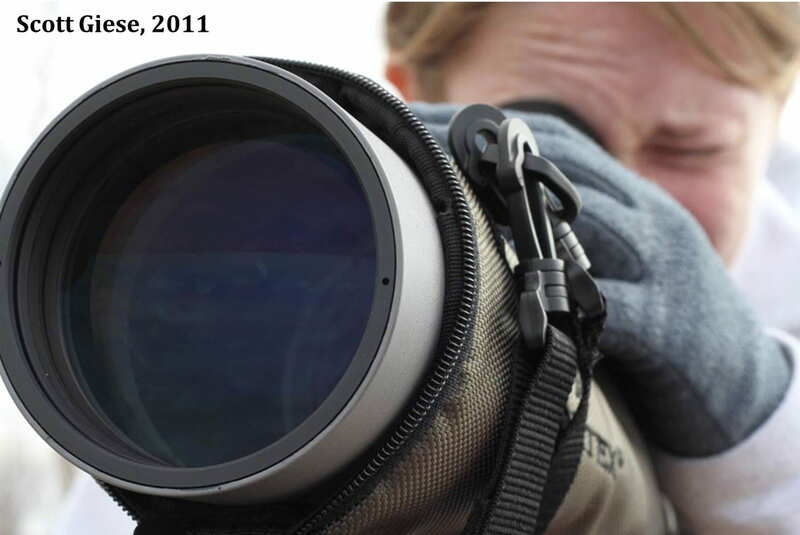 Birders can also take a newly added specialty test called BCR 101, also known as the Great Lakes Waterbird Visual Test. 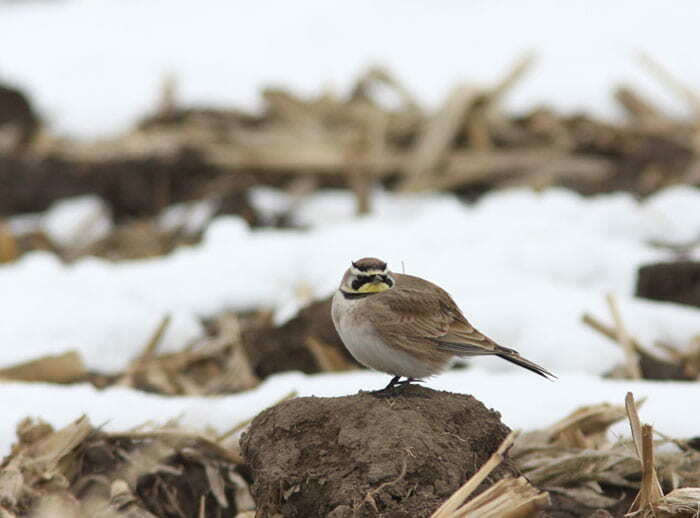 A birder can be certified in BCR 101 simply by taking any habitat category in the BCR 101 visual test module. There are no audio test modules for this category. The Birder Certification Online program is a project coordinated by the Cofrin Center for Biodiversity at the University of Wisconsin-Green Bay, with funding and collaboration from the Wisconsin Department of Natural Resources, Wisconsin Bird Conservation Initiative, National Park Service, and U.S. Fish & Wildlife Service. Check out the birder certification website and put your birding skills to the test! A spotting scope makes visual identification of distant birds easier.